Hi Dolls. So as soon as I posted about summer and sunshine and how much I love it, it started to rain. What an irony! It's literally 14 degrees in Ljubljana and it's raining. On June 24th. I mean, how can this be happening. Anyway enough of my complaining about the weather. It's now time to continue my summer posts. Today I decided to write something about my favourite summer trends, especially the ones I saw on London streets and I just love. I mean, you can never go wrong with leather. Even though leather might seem contradictory in the summer this luxe fabric will make any outfit look expensive (just make sure you don't go head to toe in the material). I'm a leather fanatic, as you probably already noticed. I just love wearing it, because it makes every outfit different and something special. 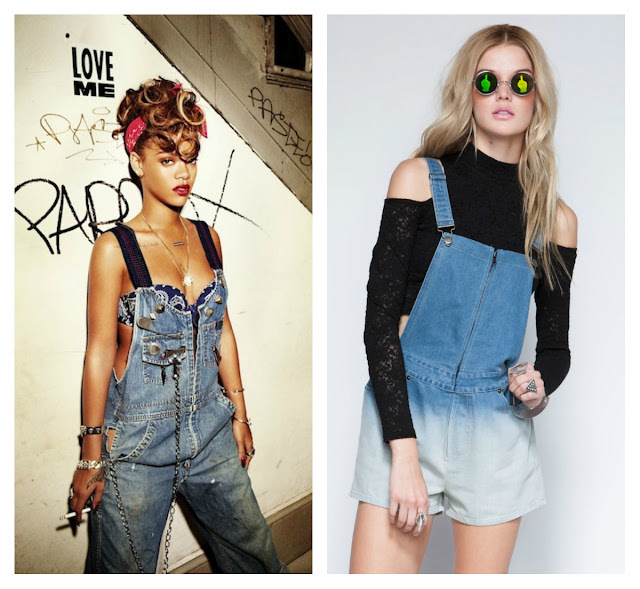 Overalls aren't just for kids anymore. London girls rock this look so well. Though you have to be really careful how you style these looks. You should make it more grungy, more hip-hop inspired. But hey, that's just my opinion. You can also go for a more girly look if you prefer it that way. Forget maxi skirts, this season is all about the midi skirt. This new, slightly shorter length is perfect to wear around the town, for shopping, whatever you want. It's not just a look for office anymore. This '90s trend is out in full force this season -- if you dare to try this bold look I suggest you to pair it with high - waisted pants, shorts or skirts. And I have to say this is by far my favourite trend for the summer. 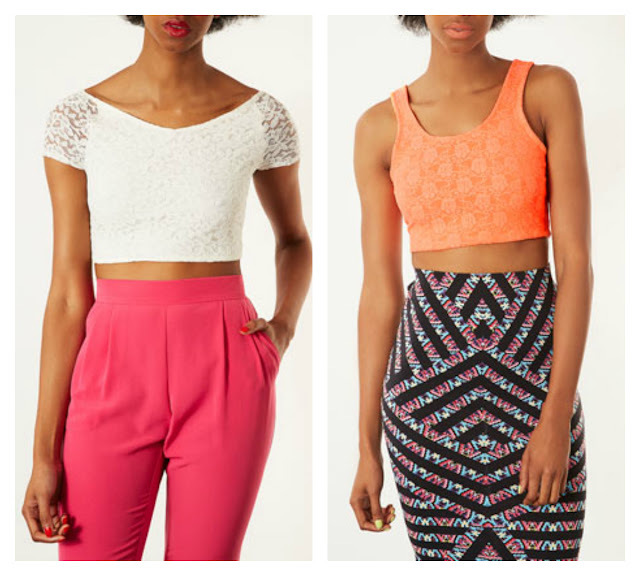 I already bought 3 crop tops (all of course from TopShop) and the summer has literally just started. Even if you're not headed to the gym, throw on a sporty dress or a pair of sneakers this season. Varsity jacket, sports uniforms, running sneakers, number tees. Whatever you want. 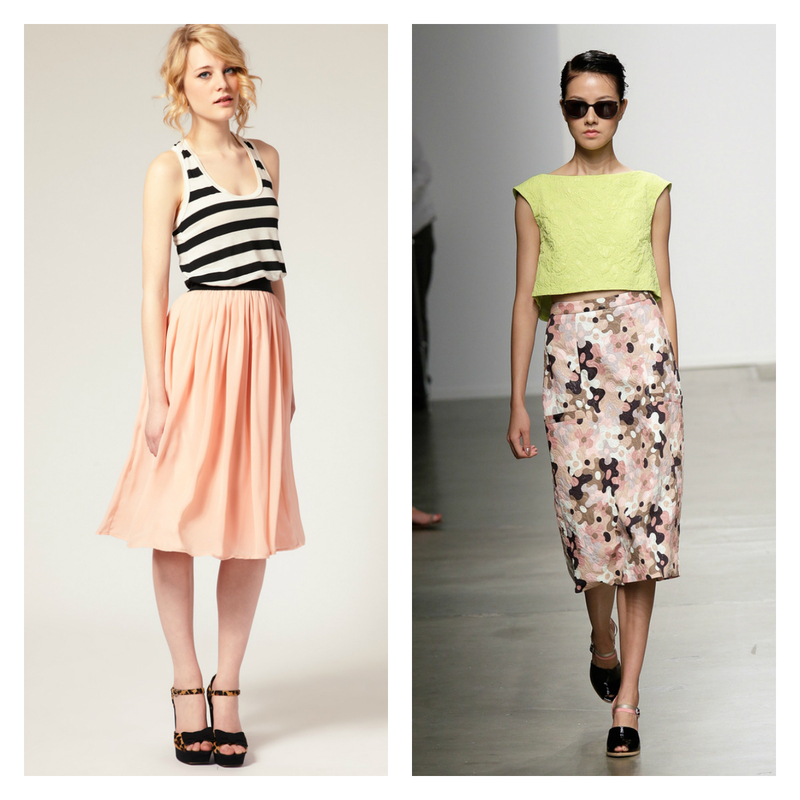 What do you think about these summer trends? Which one is your favourite? Let me know by commenting below. i dont like leather but i like jeans and the last shirt with the 73 print looks really great !